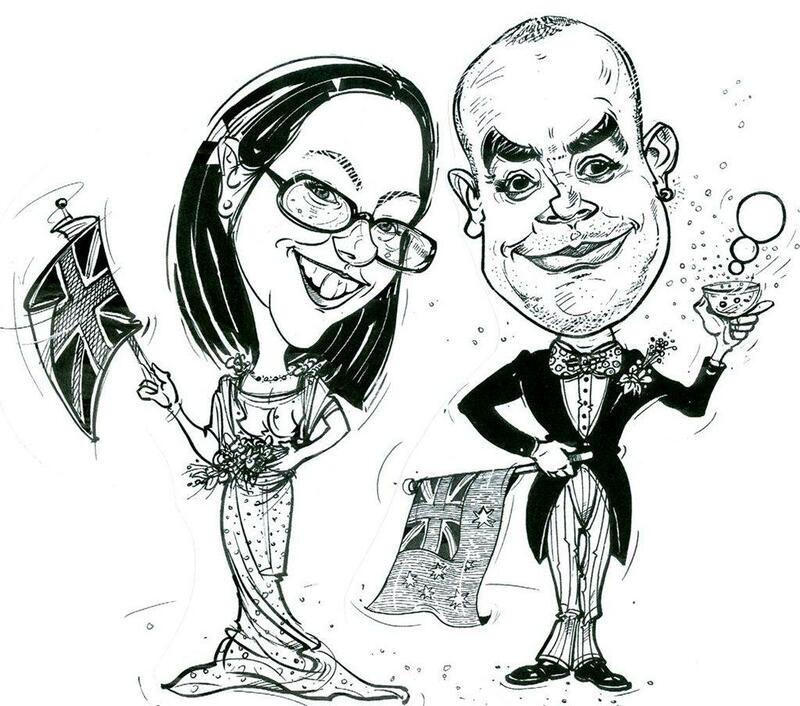 Jeff undertakes caricatures for every occasion – providing a tangible and humorous memento of your special occasion. 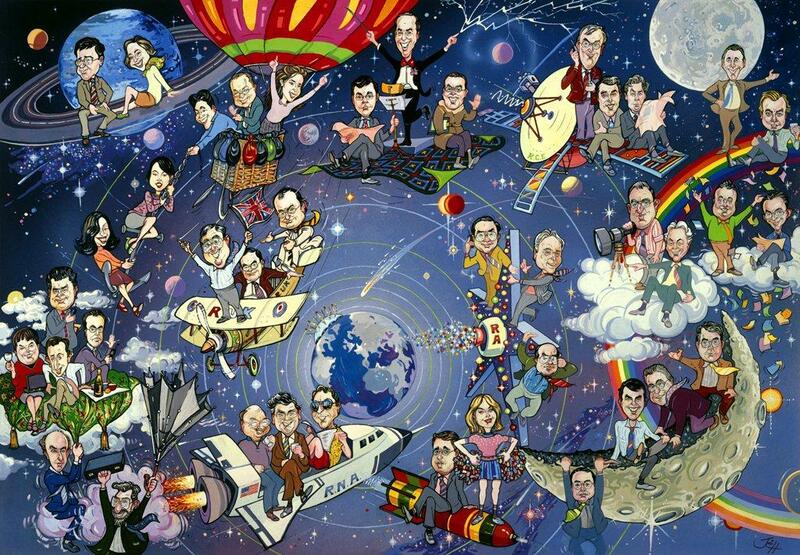 Jeff’s repertoire includes live caricatures, political cartoons & strips and book illustrations. 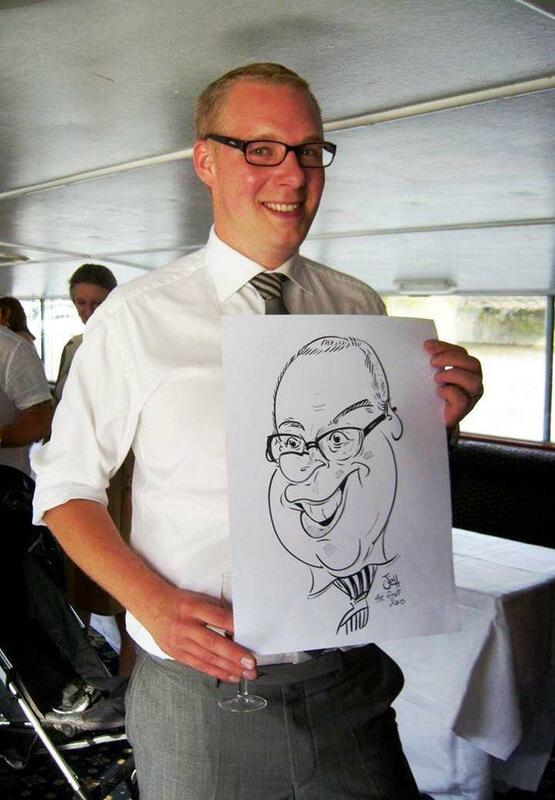 The drawings are usually A3 in size and black and white (or full colour on request) and can be drawn on the spot or, for more refined work or group shots, Jeff can also produce the drawings in advance from photos. 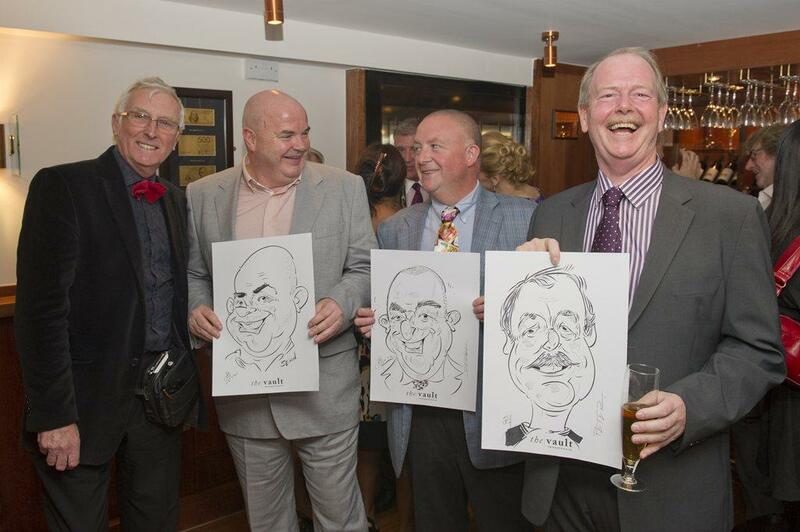 This way you can have a picture personalised with whomever you chose included and the subsequent drawing can then be framed and presented on the night as a humorous (and unusual!) reminder of your celebration. Jeff was a dream to work with. 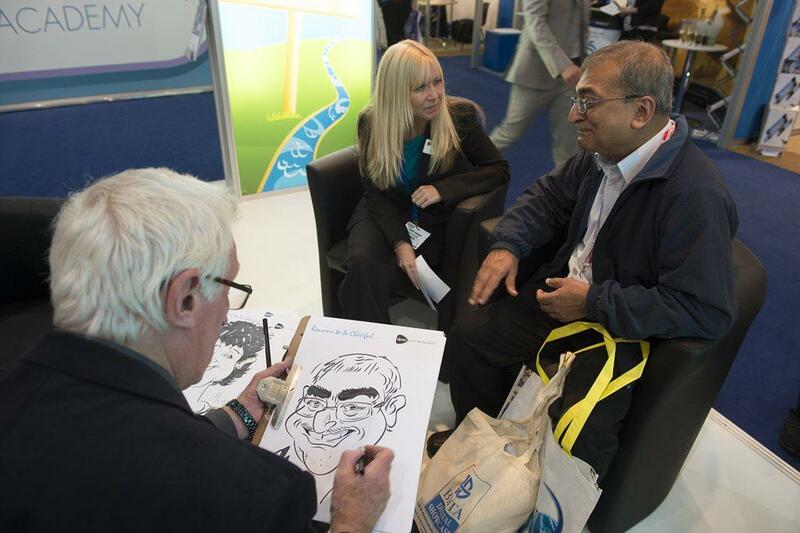 He was very easy going, and flexible when we asked him to be a stationary caricaturist rather than wondering at the last minute. 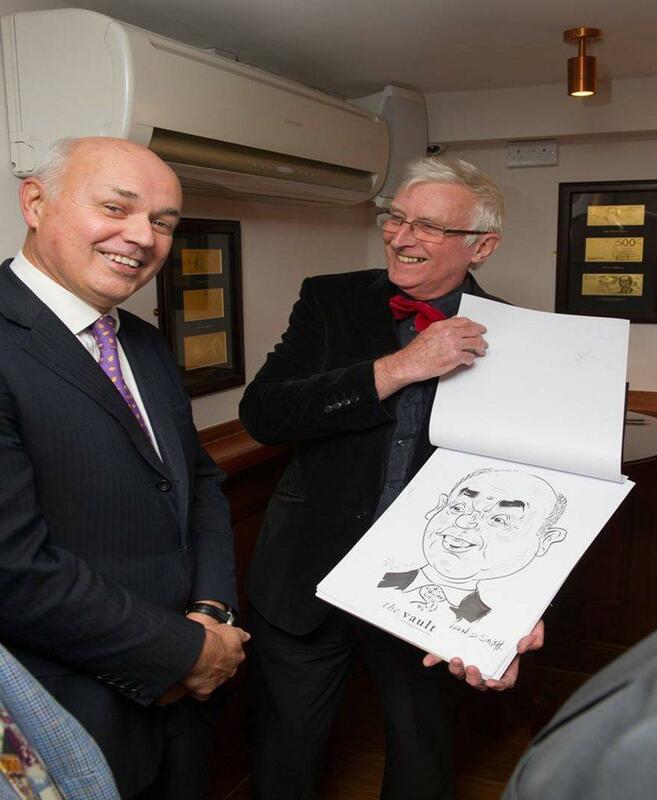 He went down very well with the guests and was certainly in very high demand the whole night, everyone seemed to love having their caricature done. Please pass on my thanks. Jeff was really great- a pleasure to work with. He was proactive and enthusiastic and his sketches were great. We absolutely loved Jeff. All were superb and it helped make our night an absolute winner. I’ll definitely be coming back to you in the future for other entertainment. The event went really well! The sketching was a great hit, especially with the children and I think the team enjoyed it. Jeff was particularly good, so I’d like to use him again when we do this and hopefully we’ll be doing it all again very soon. Just to let you know that Jeff was absolutely fabulous and well worth it. Definitely entertaining. Thanks for all of your help.. 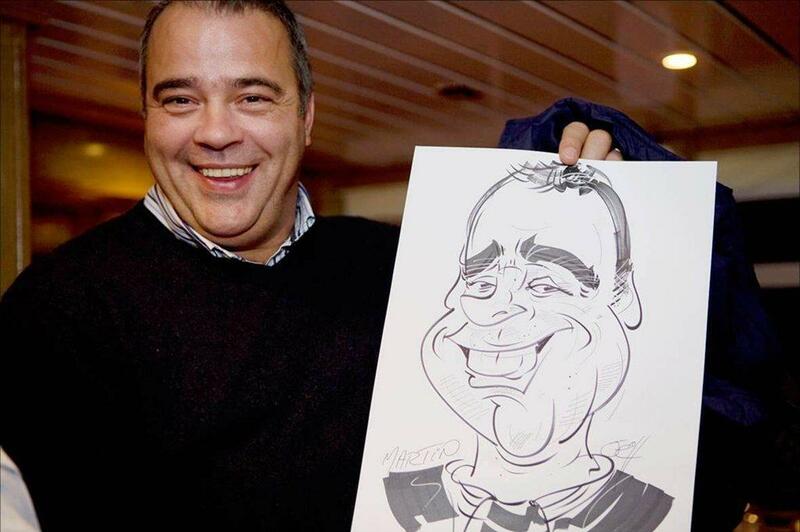 The caricaturist was very nice chap and did a great job knocking out an alarming number of drawings in such a short period of time! And he made me look quite handsome. 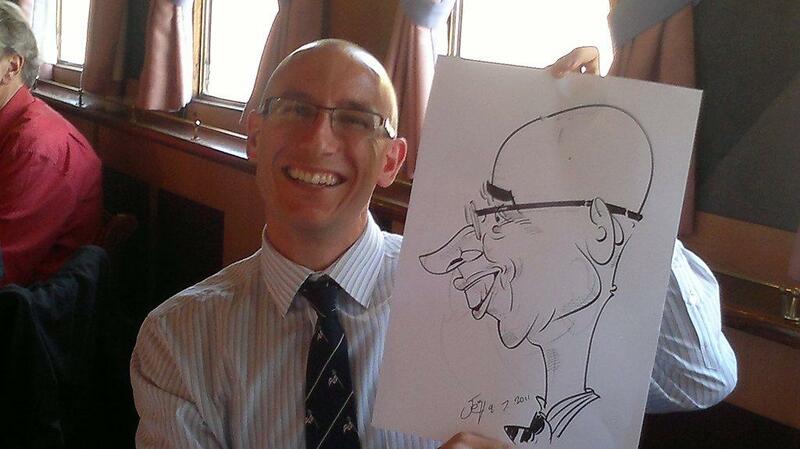 I just wanted to express my sincere thanks to Jeff the caricaturist artist that worked with us at the summer festival this weekend. Can I please ask you to convey my thanks to him? He was really good and was able to engage with the people enthusiastically. I will not have any hesitation in employing him again. Many thanks to you also for meeting our request at such a short notice. Just a quick e-mail to say that the guys (Jeff) were amazing – we were so very pleased with them all and were perfect for the nature of the event – couldn’t have been happier. Thank you for all of your help, and please reiterate the above to the all of the artists -if the opportunity presents itself we would love to work with them again in the future. I am just getting ready to go on our honeymoon, but I wanted to say thank you for all your help and request that you pass on my thanks to Jeff and Matt. 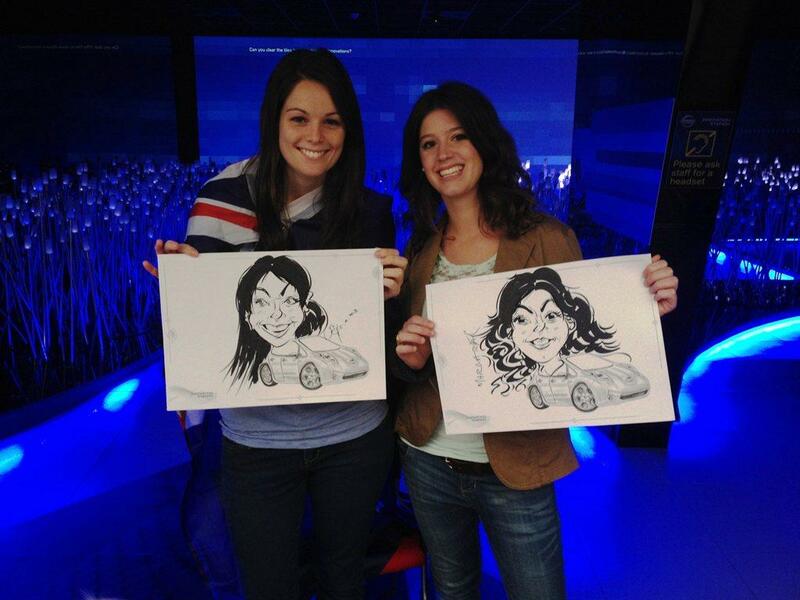 They both did a fantastic job and all our guests commented on how much they enjoyed having their caricatures completed. Thank you again Abi, you have been an absolute star! 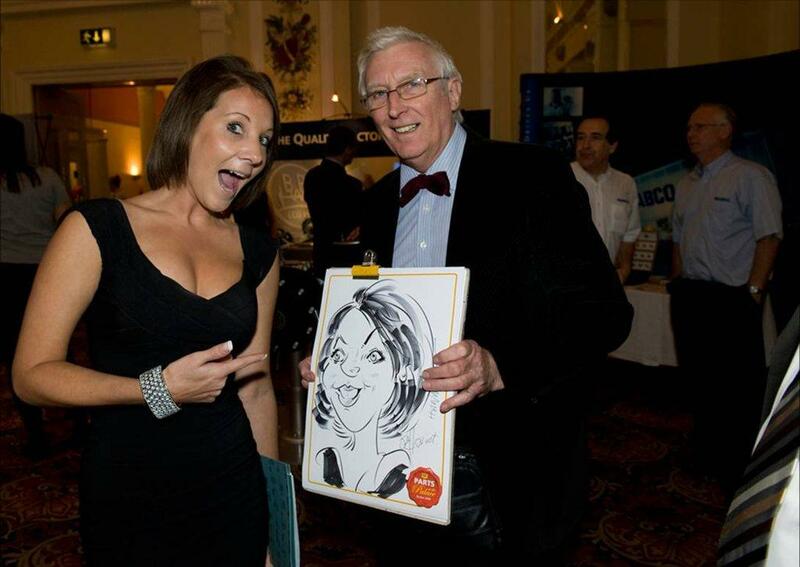 Weekend went well – the caricaturist was a big hit – would like to invite him back for Christmas but with better set up and signage as he was swamped! Jeff was excellent and the clients loved him. Thanks again for all your assistance it really made the night. 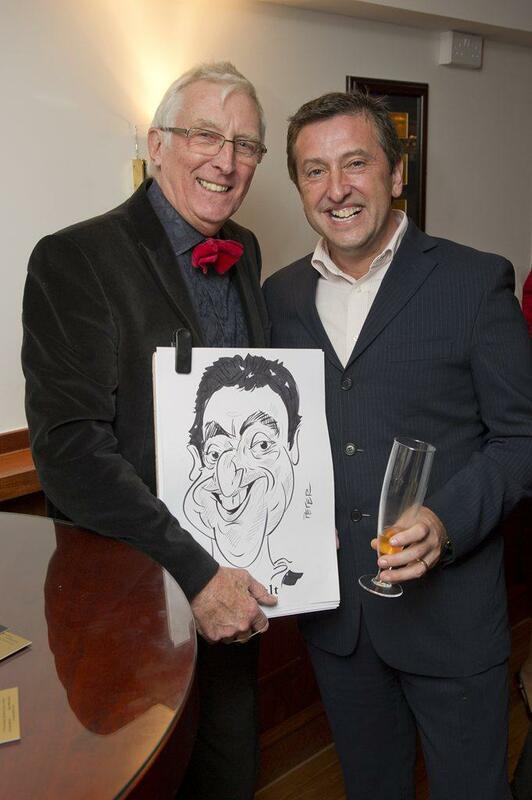 Jeff was absolutely brilliant – was in high demand all night but obviously couldn’t handle all the ladies queuing up for him… I personally am delighted with my drawing and cant wait to frame it and hang it up on the wall..
Everything went great thanks – the client was really pleased. Jeff was mentioned by the Director in his thank you speech. Firstly, thank you so much for all your hard work in organising Jeff’s attendance. My feedback is positive. Jeff was very well received. We had a great party and Jeff was just right! He could talk to everyone and put them at their ease – children and adults. People were thrilled with their pictures, and he was relaxed and in no hurry to leave. Can thoroughly recommend him. I just want to say thank you for all your help and patience in making this booking. Jeff was great and interacted with the crowd quite well. 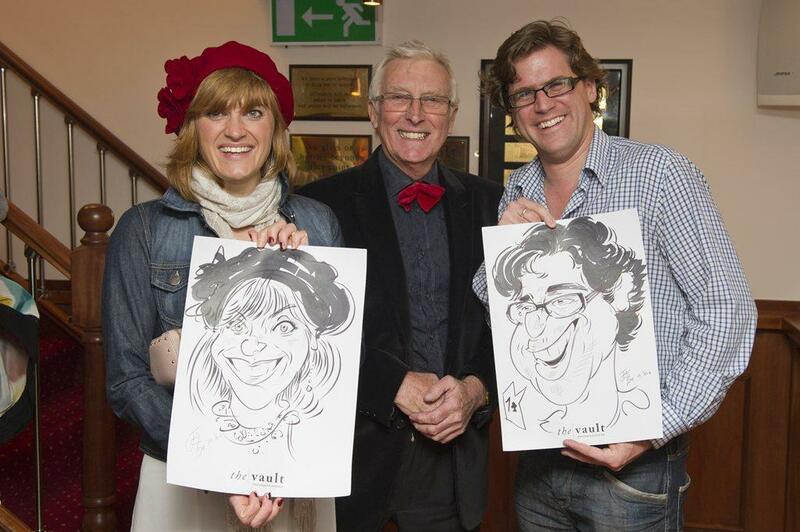 Everyone was pleased with their caricatures, my husband and I intend to frame ours. Thank you, it went brilliantly – everyone was very happy with the result! 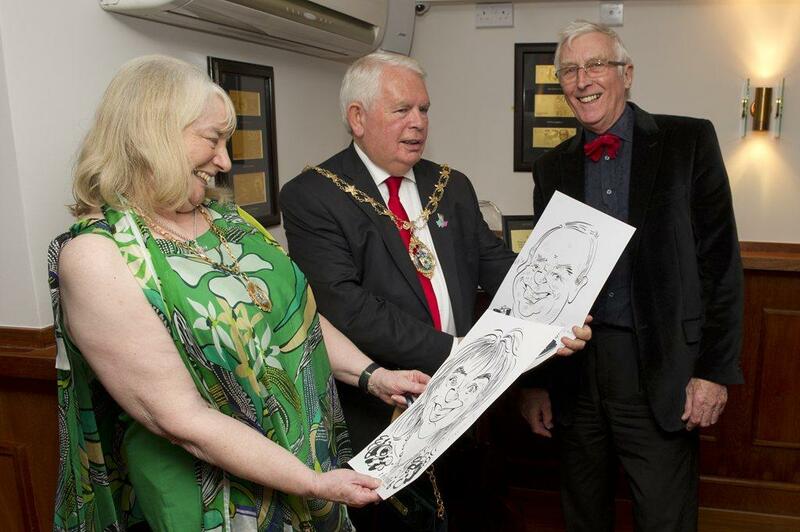 All of the performers were superb – both Jeff and Jane had queues for the whole evening and were very much in demand!…..Jeff was also fantastic and was tireless – I don’t think I saw him stop all night and I am very pleased with my caricature. Thank you so much for all your help, all of the entertainers were great and it was so easy working with you – I am sure we will be in contact again. Many thanks! Jeff was fantastic, he did not stop and was a real hit on the stand. I was expecting him to do his 45 minute slot, beetle off for a break and come back and start again but he took 40 minutes for lunch and that was it – a great work ethic and value for money! I just wanted to ask if you could pass on many thanks to Jeff and Steve for all their amazing work on Friday night on the event at One Mayfair. They both went down a storm and I wouldn’t hesitate to book them again for an event in the future. Thank you for all of your help also, you were brilliant as usual. Both performers were great. Really glad we got them. Just a quick e-mail to thank Jeff and Nick, they both went down really well and were fantastic! Last night was a complete success and lots of this was down to Jeff. 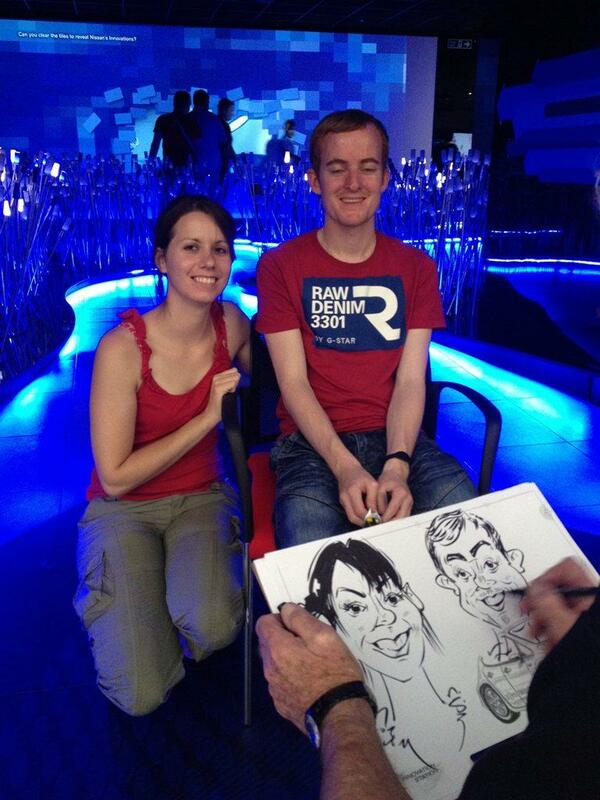 Everyone was thrilled to have their caricature done and especially in the fake photo booth style it was set in. The event went really well….The acts were great and really added to the ambience. Thank you so much for your enquiry, and for arranging Jeff for us. He was an absolute delight and fitted in so well with everyone – and the sudden change of plan as the entire event had to be moved inside due to the annoying new climate in the UK! He could not have done more, accommodated more and drawn faster …. absolutely wonderful. …..Will certainly be back in touch. Thank you so much for suppling Josh and Jeff on Thursday. They were both amazing, Josh was fantastic and had the crowd eating out of his hands and Jeff was superb. My clients were very pleased so hopefully we’ll be able to book them again for more of our corporate events! …Jeff was brilliant. He arrived punctual and was polite and the drawings were funny so very good feedback from our point of view. Thank you for your help.